Theater Chairs Home… or something like that. It is difficult to determine the needs of customers looking for furniture for their theater room, den, entertainment living room or any other location in their home. There is so much confusion that you may end up going down a rabbit hole until you com across what you really want. The intelligence of the search engines are not perfect. Some combination of terms can be chain liked together and mot give you good results. The biggest problem is, pay-per-click investing. Those listings at the top of your search with the little square box that say, “AD” in it are exactly that. A paid ad by a company looking for your business. It doesn’t mean they are the top rated in terms of quality, performance, reliability or anything other than they are gambling and paying for everyone who clicks on their link to visit their site! Think about this, if the category of product you are looking for is say, “Home Theater Seating,” everyone using that term who wants to invest the going rate of let’s say, $5.00 per click, pays to be there. If 1000 people click that site and never buy a thing, they are out $5000! So, you can be sure that most, if not all who are gambling there, have deep pockets, are making incredible money/profit on their items or will soon be gone with a huge debt and nothing to show for it. It doesn’t assure you that they are the best, oldest, most reliable, etc! What it really does, is make it nearly impossible for the small, independent company with a long history, great reputation and best product to compete! Google and all search engine companies make the bulk of their money on paid advertise…PERIOD! If you are to survive the internet sales game, you have to work very hard to follow the rules, build a site that qualified to reach as high a position on the search word game as possible. reviews, accolades and shared back links with your customers, clients and your industry help. 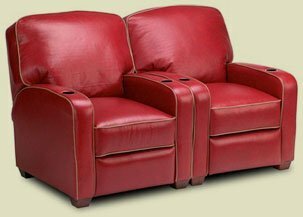 As a manufacturer of Home Theater Seating, PremiereHTS, we have worked hard for 20 plus years, trying to stay visible on the internet. With the change in the business model today of less and less retail outlets, the competition form the Amazons of the world. imported inferior product, and pay-per-click cost skyrocketing, controlling our overhead is the only thing that keeps us alive. The days of magazine ads, conventions, representatives, distributors and employees are a thing of the past. If we can deliver the best in class, work directly with our customers and deliver quality that outperforms the competition, word of mouth is our best vehicle to ge the good news out about who we are and what we do! My advice is drill through the internet category of product you are searching for. Move past page one and beyond. There are treasures to be found the deeper you dig. Spend time on each site, usually the site alone will tell the story and will look different from all these mass merchandise, laundry list of today’s hot deal. Watch for the give-a-ways, pop-ups that say… “DON’T LEAVE!” Asking for your information will only turn into another spam you may not be able to, “unsubscribe” from! PREMIEREHTS, LLC HOME THEATER SEATING SINCE 1998 ©COPYRIGHT 2018. 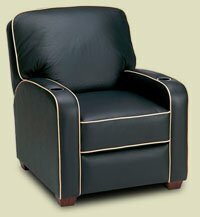 The Grand from Premiere HTS has been considered by many to be one of our most comfortable theater seats ever. Grand offers a sleek, club chair design with a lower profile and a simple “push-back” recline system that is perfect for dedicated theaters with limited space or for use in lifestyle entertainment rooms where repositioning the chairs after the movie is over is desired. Computer-cut 5-ply hardwood laminate frame structure – 7-ply at all stress points. High-end furniture standard’s “Bench made” hand craftsmanship on all models. We use only the best grade of cushioning foams with the lowest “memory” and maximum compression resilience. Over 100 of the world’s finest premium European leathers available. Industrial-grade Leggett & Platt recline mechanism. – Lifetime warranted frame – 5 years parts & labor on leathers – one year warranty on ultra suede. How did you find PremiereHTS?